How to optimize the flow of your work and track task progress all in one place using Kanban board? Using Kanban board you could optimize the flow of your work and track task progress all in one place. 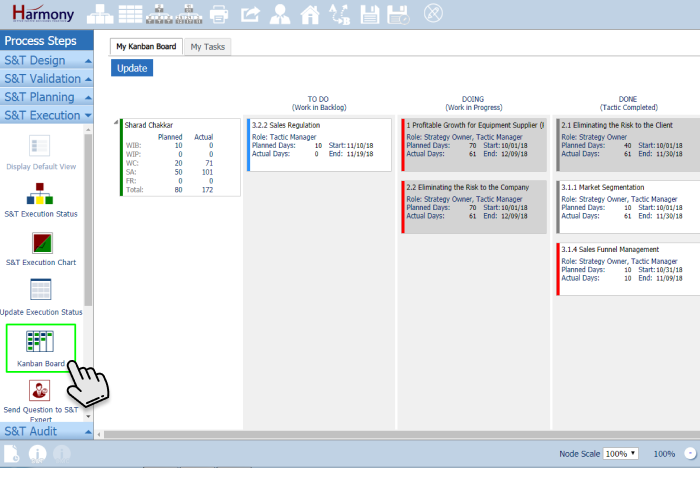 Click on “Kanban Board” left menu icon in S&T Execution to see the Kanban Board using which you could optimize the flow of your work and track task progress all in one place. You could drag and drop task cards from one status to another, view actual vs. planned days and see who is the strategy and tactic owner of a specific task. 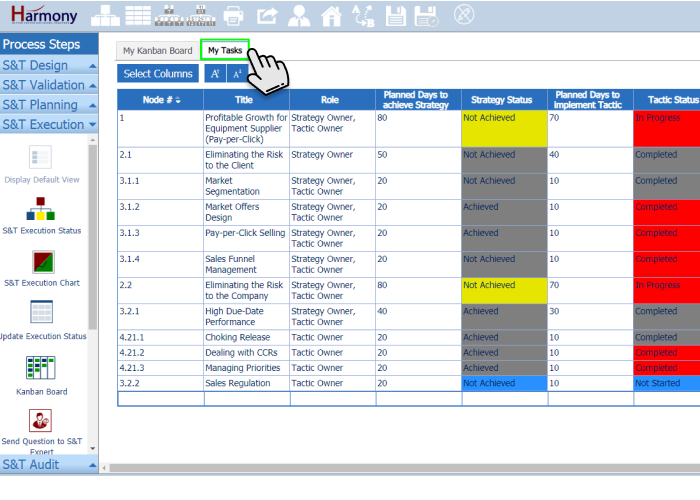 Using “My Tasks” user can view only own tasks and their strategy and tactic status. 1. 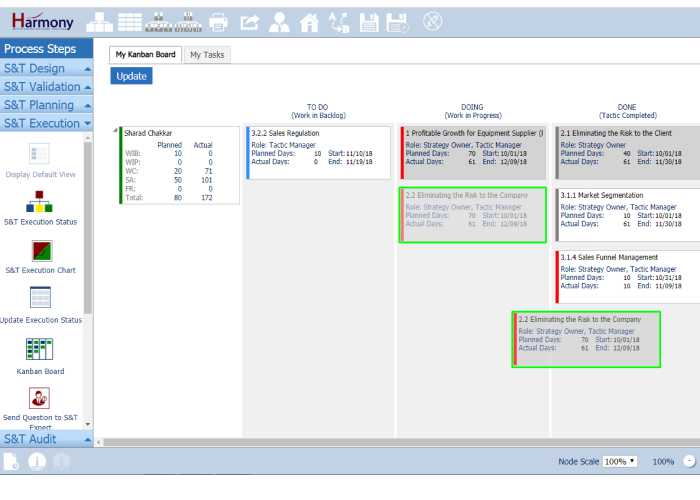 Click on "Kanban Board" left menu icon in S&T Execution to see the Kanban Board using which you could optimize the flow of your work and track task progress all in one place. 2. You could drag and drop task cards from one status to another, view actual vs. planned days and see who is the strategy and tactic owner of a specific task. 3. Using "My Tasks" user can view only own tasks and their strategy and tactic status.